Here are the BAD GUYS of World War II. Fifteen nations comprised the Axis Alliance & 14 of them declared war on the US. All of them declared war on the British Empire. This book, written from the Axis perspective, records their often stormy and sometime treacherous relationships. 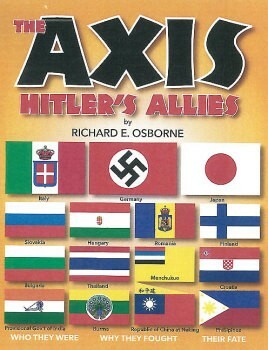 Here is a mountain of detailed information on the Axis Alliance found in no other book on this subject. By war's end, six of these nations had changed sides and were fighting for the Allies and some of their leaders are hailed today as national heroes.